Are you interested in starting a small scale business in Nigeria from scratch? Do you want to know what it takes to build a successful small scale business from scratch? If your interest is to start a small scale business in Nigeria; I advice you hang on and keep read reading because you have arrive at the right page. I have share with you here some time ago, an article on how to start a small business and be successful. Today, I will be sharing with you how to start a small scale business in Nigeria from scratch. So many people have bunch of profitable small scale business ideas yet they cannot start one small business. Some others have read about many decent lucrative small businesses do in Nigeria but at the point to start up the business; they get scared and quit. I don’t know if you have found yourself in any of such predicament? As one of the Nigerian renowned entrepreneur and a business tycoon, I have learn the nitty-gritty of doing businesses in Nigeria. In this article, I will show you how to start a profitable small scale business in Nigeria from Scratch. I will not also fail to address most of the challenges you may likely face when starting small scale business in Nigeria. Many people who find it difficult to start small scale business in Nigeria have replicated the detailed steps I listed below to begin a small business. If you strictly apply every step I mention, I strongly believed that you will launch your own small scale business in Nigeria even with little or no money (I mean from scratch). Again if you are in USA, UK, Ghana, Canada, South Africa, India, Ghana, Cameroun etc; you will still find this article very useful because each step is practically reproducible anywhere; any time around the world. However, note that the socioeconomic situation of your locality and culture may affect the cost of starting and running of the business. Before I proceed further, I suggest you go through this list of small business in Nigeria with little capital start up. I have compiled that list to help you get started. Let’s look at some of the critical challenges you may likely face when starting small scale business in Nigeria. Availability of a viable business location – the success of any business starts from the ability to choose a viable business location. The best areas to locate a business within a geographical region are high traffic and busy area, location close to your market and also close to your competitors. Locations like these may be difficult to get in any locality. Poor financial backup – if you start a business without keeping money to support the business at its early stage, the business will likely collapse. Early stage of any business is usually difficult to manage without a financial backup. This has result to fall of many businesses in Nigeria. Poor feasibility study – ensures you carry out adequate feasibility study about the business you want to start before jumping to start the business. Many small businesses that were started this way never exist long. Improper market segmentation – This is a marketing strategy in which a broad target market are divided into subsets of consumers, businesses, or countries who have, or are perceived to have, common needs, interests, and priorities, and then designing and implementing strategies to target them specifically. In ability to properly subsets and target a niche has downside a lot of small scale business. Ok, are you through with those above articles? Let’s get down to the business of the day. Here is an in-depth guide on how to start a small scale business in Nigeria from scratch. The steps are like a ladder that will get you up the way to the success of your small scale business in Nigeria. • Go for business seminars,workshop and training. • Accept the reality that businesses are bound to fail tomorrow. • Promise yourself that you can succeed despite all odds, disappointment, competition, and loss. • Something you will like to do and wouldn’t mind doing. • Something that will attract investors. • Something that you can raise sufficient capital to start since you’re starting the business from scratch. If you haven’t yet found any fast growing small scale ideas, perhaps you can spot one or more from this my list of small business ideas in Nigeria to start with little or no money. Some may require some level of expertise in a particular industry while others are in the field that you can easily learn. Having a fast growing business idea alone does not guarantee success in any business, but you have to back up your business ideas with good business fundamentals. All you need to do is to spot a proven business line and then learn the basics of the business. • Who are my target customers? • How would they want to be attending to? • Who are my major competitors in this business? • Who is the market lead? • Is it possible that I will survive in this business? Step5. Consider writing a business plan: A business plan is necessary for your business success. If you must grow fast in your small scale business you need a business plan. It does matter whether you are starting the business from the scratch or not. • Investors will like to see your business plan before they can investor. • Banks will also like to see your business plan before they can loan your money. 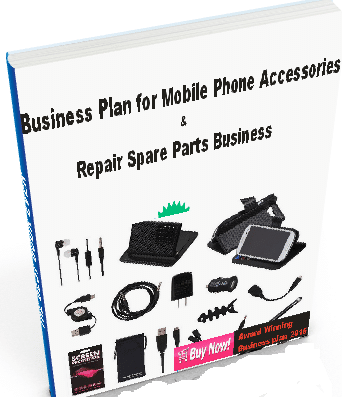 • Your friend may want to see business plan before giving you money. Even if it is an informal one, write it! One page, two pages, whatever numbers of pages, write it because it will help you to be focus. Step6. Rent a viable business location: Search for a business good location to site your business. Depending on the nature of your small scale business, some big business cities in Nigeria include FCT Abuja, Lagos, Kano, Onitcha, Aba, PH, and Jos. Wherever you will choose to site your business, there is always a challenge because every location has its own challenges. It does not matter if you locate the business at the near neighbourhood. Every business industry in Nigeria has its regulatory bodies and agencies governing them. Even if you intend locating the business in remote area such as your village, there are local bodies that checkmates the activities of the businesses going on them. Ensure that you conform to government operational policies unless you want the government to be at your neck all the time. Try to factor the cost of the license and business permits in your budget to avoid overhead cost. Step8. Register your business with corporate Affair commission: Registering your business name with corporate affair commission is a way of helping your business to stand out of the crowd. Even if you do not register the business at the onset, factor cost of the registration in your cost projection as a short term plan. Registration of business can be done online days at the Nigeria Corporate Affair commission (CAC) online portal. Step9. Outsource for capital: At least, I believed that you have the needed capital to launch the business while you save for financial backup. But since you are starting from scratch, you can follow these 10 ways to raise capital for the business. Step10. Launch the small business: The last of them all but the least is to get your business started. You can have the best small business ideas, a good business plan, well analyse market study, enough capital to start the business but you can’t still start the business. Possibly, you are afraid of facing failure. But I do know that in business, success and failure are two side of a coin. I am planning to Export Auto Spare Parts in Nigeria from Australia. I am an Australian. Could you please advise what are the (export/import) Licenses will I need? Anyways, keep up the best work. Please I need basic help for start trading business (aluminium utensils) for saleing in Nigeria. I want to know Nigerian governments formalities. Like permits and Lisencs for start business. Answered but you can ask further questions if you are not satisfied. Sir im Indian citizen. I want to start in lagos small training business. Like utensils inport from india & China.i was 10years in lagos Nigeria in service in Tower group. Yet I need basic guidance for government formalities like licence and parmit. Who will help me (lowyer) in lagos.how much they take services charges. I have market in Nigeria to sales aluminium utensils. Im waiting for your reply for further discussion. All you need is to get your business register with Corporate Affair Commission (CAC). You can do this with the help of a Lawyer who are into business name registration. After that, you pay for the state and local government business permit. Your Lawyer should be able to advice you on how to go about all this.